A while back wrote a post on how I made a display for some of my special jewelry. It's one of my absolute favorite projects! Everyday I get to see heirlooms and special jewelry from my wedding day. It was super cheap and easy too and you know that's right up my alley! I updated the pictures a bit and I figured, why not revisit that post today? 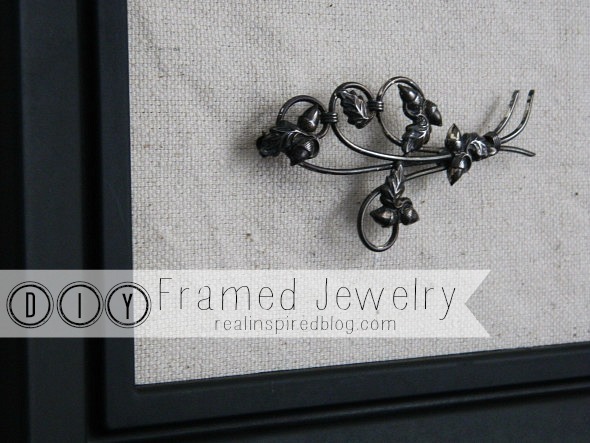 I'll give you the super simple step-by-step process so you can display your special jewelry too. If you don't have any, you may want to go out and by some! Ebay and Etsy are great for it!